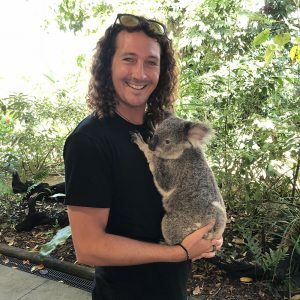 Doing a working holiday visa in Australia was one of the biggest and best decisions I’ve ever made – that year in Oz was packed full of adventures, epic new travel buddies, pumping surf and it ultimately led me to where I am now. 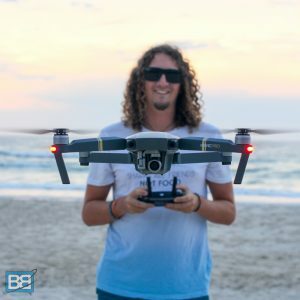 And I’m always heaps stoked to chat about travelling in Australia and help plan peoples East Coast Adventures (check out my East Coast Australia Package builder if you want a hand!) so when my buddies Darryl and Adam at Welcome To Travel asked if I’d be keen to join them as a guest host on their Melbourne working holiday visa package of course I was going to say yes! Come Join Me In Melbourne! …And Not Just For Those On A Working Holiday Visa Either! Heaps Of Value + Some Backpacker Banter Bonus Extras! So if you’re busy planning your Australia working holiday visa come join me in Melbourne this November for a week of fun, sun, adventure and the perfect introduction to Oz! Not only will we be packing in heaps of cool experiences (and yes that does include surfing!) but the Welcome To Travel crew will also help you take care of the boring but essential bits about starting your working holiday visa in Australia – such as bank account setup, tax file numbers, SIM card and help finding work in Australia too. Check out their epic promo video for an overview of all the cool stuff we’ll be getting up to together! 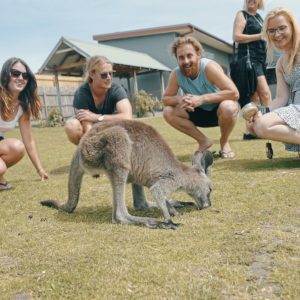 If you’re heading to Australia or already in Australia you can also join me for a week exploring Melbourne with the Welcome To crew! It’s the perfect way to spend a week enjoying one of the most liveable cities in the world and when the guys are sorting out the working holiday stuff we can enjoy some cold beers and relax! Yes, we’ll get to meet some kangaroos! So what’s included in my Melbourne Working Holiday Visa Package? Expert guides – including myself of course! And of course you get some bonus Backpacker Banter extras as well! I’ll also be putting together a video edit of the whole week too – so you’ll have an awesome reminder of your first week in Australia and something to send home to all your family and friends dot make them heaps jealous! I’ll be filming the whole week too! The Welcome To Travel Melbourne Working Holiday Visa Package is usually $899AUD (roughly £500) but I’ve cut a deal with my buddies there and if you join me on November 4th 2018 you’ll get $100 off! Yup, all the inclusions + all my bonus add ons + $100AUD off! Plus the first 3 people to sign up will get an extra $50 off! Spaces are strictly limited so make sure you get in early! Got any questions about the trip? PLEASE NOTE: This package DOES NOT INCLUDE your Australian working holiday visa – you’ll need to sort this independently.